Meet the people who possess some of the world’s largest collections of the most bizarre things. I honestly had a “why dude, why?” moment with this one. Several of it, actually. North Carolina dermatologist Manfred S. Rothstein owns 675 back scratchers from 71 different countries. Carol Vaugn, 65 from Birmingham, UK, has an impressive collection of more than 5,000 bars of soap from all over the world. 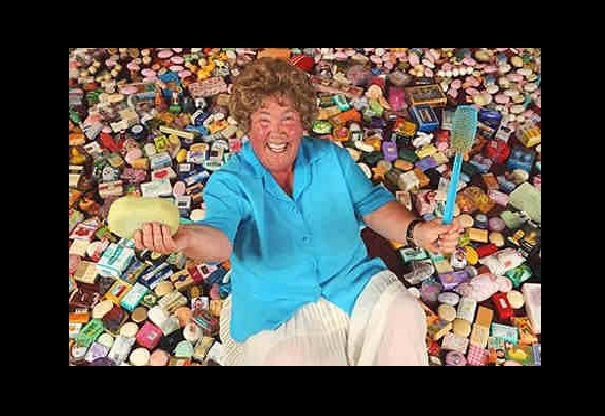 She’s been collecting soap bars since 1991. Why would anybody want to collect that? Why? Well, okay, this weird collection of toenail clippings is actually intended for medical research. 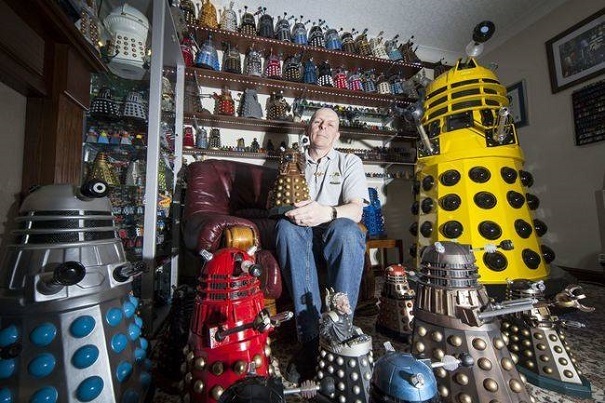 In 2011, Rob Hull’s collection had a whopping official record of 571 daleks. I think it’s safe to assume that it has doubled since then. 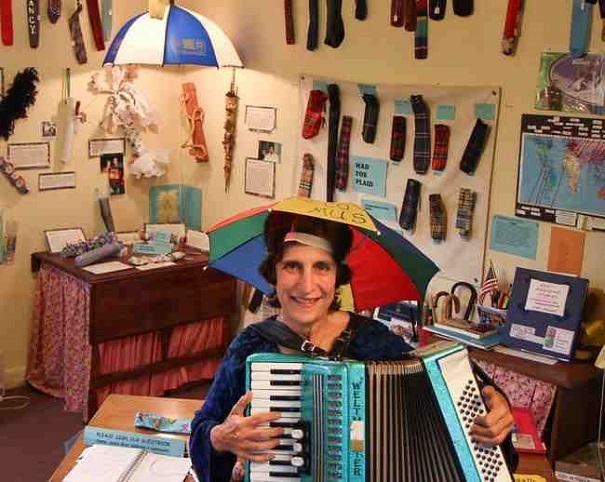 The largest umbrella cover collection is owned by Nancy Hoffman from Peaks Island, Main. She has 730 unique items. 39-year-old David Andreani from Pesaro, Italy has started collecting coca-cola cans since he was 15. 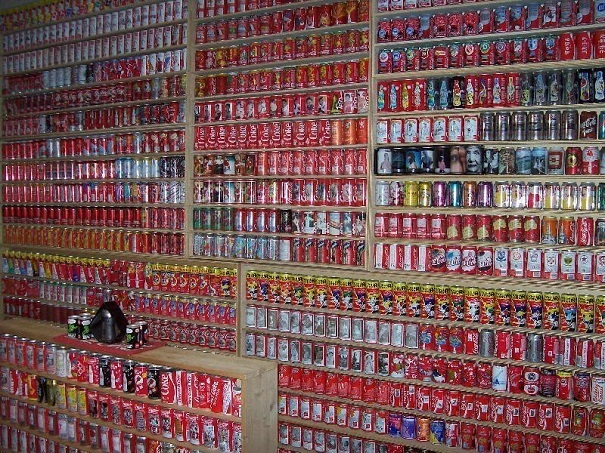 His collection includes special edition and commemorative cans from almost every country except Cuba and North Korea. 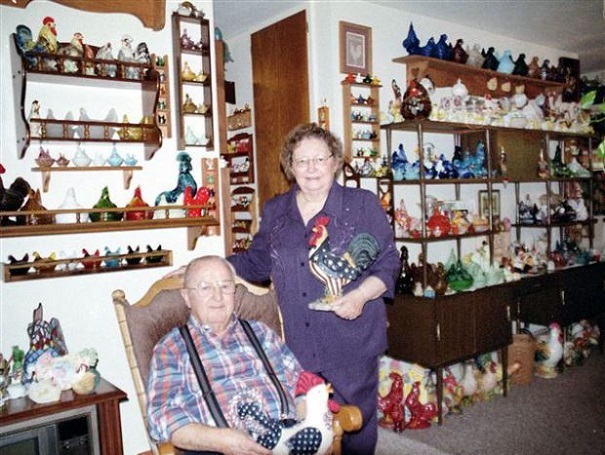 For the last 40 years, Elkhart County’s Joann and Cecil Dixon has collected chicken related items including chicken fridge magnets, chicken planters, and chicken ornaments. The couple now has 6,505 items in their collection. 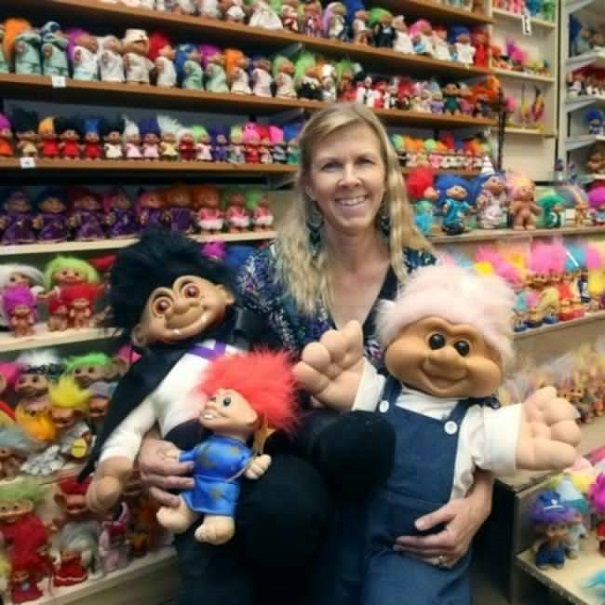 Sherry Groom owns an amazing 3,500 troll dolls collection. John Reznikoff owns the bizarre, yet the most expansive collection of celebrity hair locks in the world. 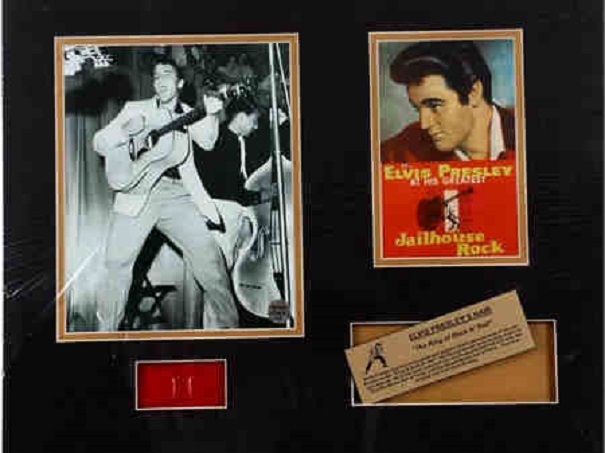 The collection includes the hair of famous celebrities and historical figures including Edgar Allan Poe, Albert Einstein, Abraham Lincoln, Marilyn Monroe and Ludwig van Beethoven. Woah! At 22.1 grams, Graham Barker has the largest collection of belly button fluff. It’s his own fluff, if you’re wondering. He started the collection in 1984. 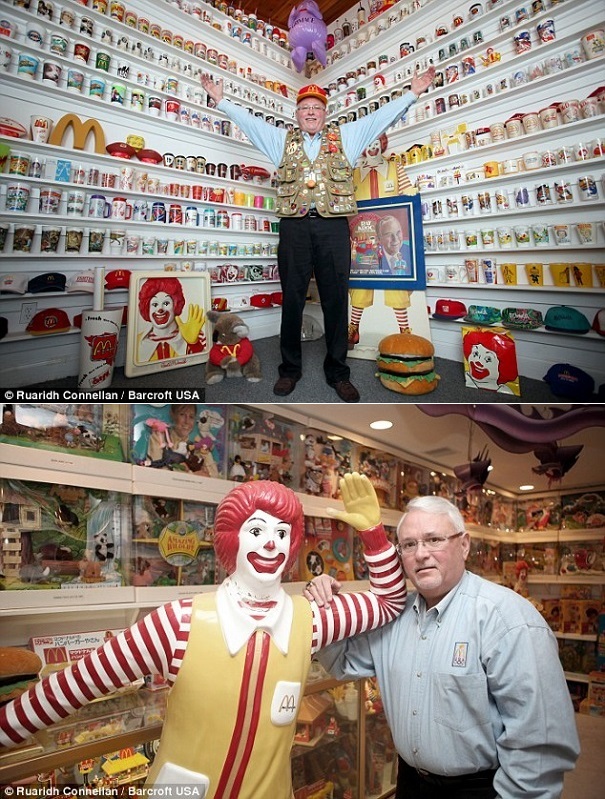 60-year old McDonald’s owner Mike Fountaine has a mind-blowing collection of 75,000 pieces of McDonald’s memorabilia. The collection occupies over 7,000 sq ft of his home in Pennsylvania. It includes 1,000 McDonald’s cups, uniforms, 11,700 lapel pins, old displays, and nearly every Happy Meal toy the chain has produced. Oh and there’s also the famous Ronald McDonald mascot. 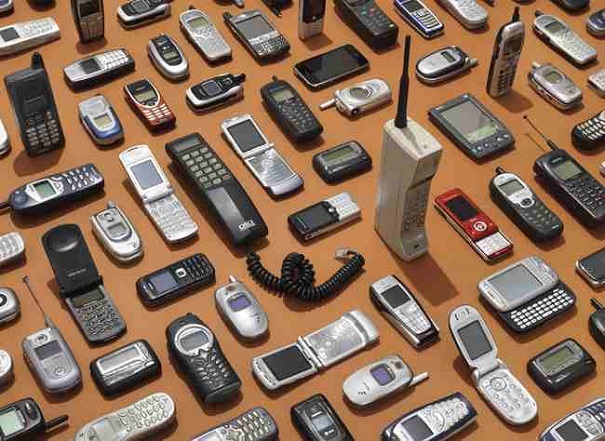 Carsten Tews from Germany has a collection of 1,563 different mobile phones. 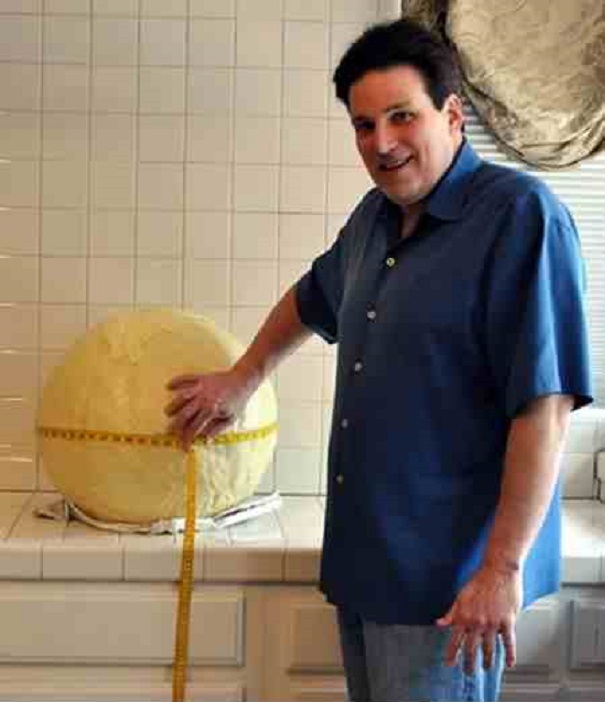 This is the world’s largest ABC gumball. For those of you who have no idea what ABC stands for, it’s Already Been Chewed. Barry Chappell’s ‘brilliant idea’ was born when he was on an international flight. Of course he couldn’t smoke so he started chewing nicotine gums. Six years and 95,200 pieces of gum later, he has created this 175 pounds gumball. Best part? He’s off smoking. 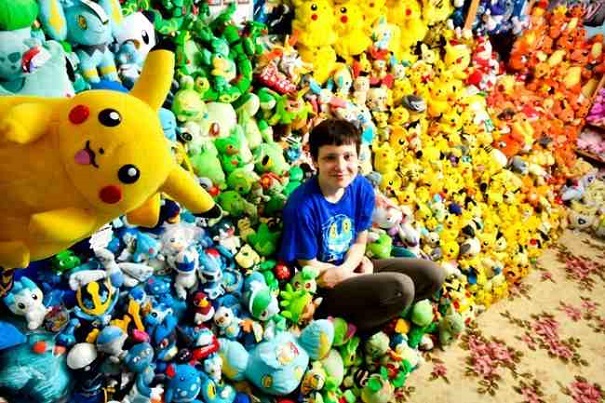 Lisa Courtney from the UK owns 16,000 Pokémon items. 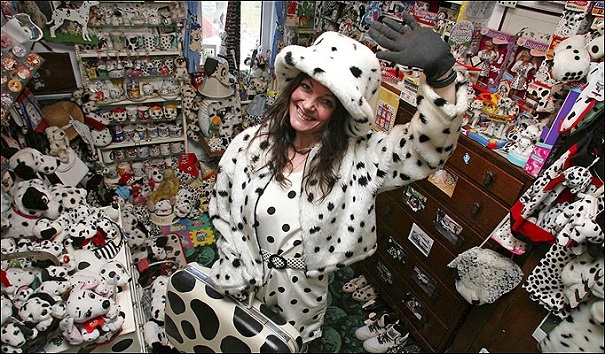 Karen Ferrier is obsessed with Dalmatians, owning a collection of 3,500 spotty items. Sucrologist Phil Miller, collects sugar packets and sugar cube wrappers. 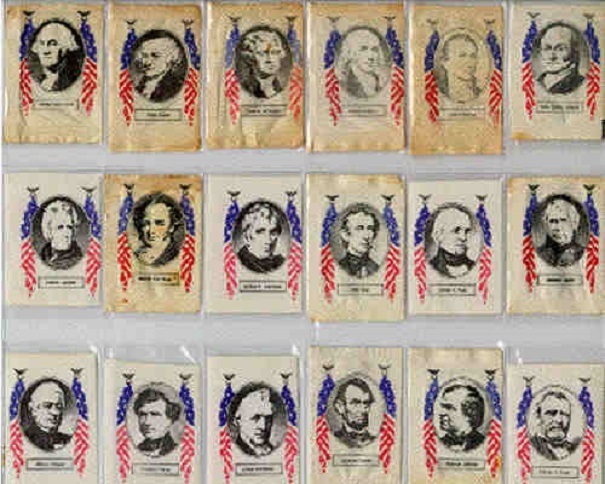 He’s been collecting since 1978 and started with the Presidents of the United States sugar packets. 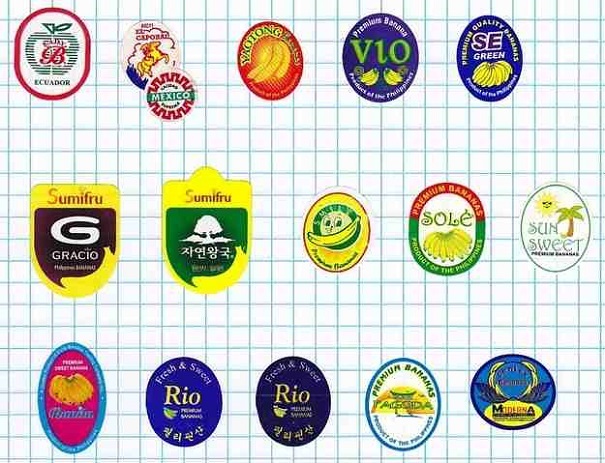 Becky Martz banana sticker collection consists of over 7,000 unique labels. 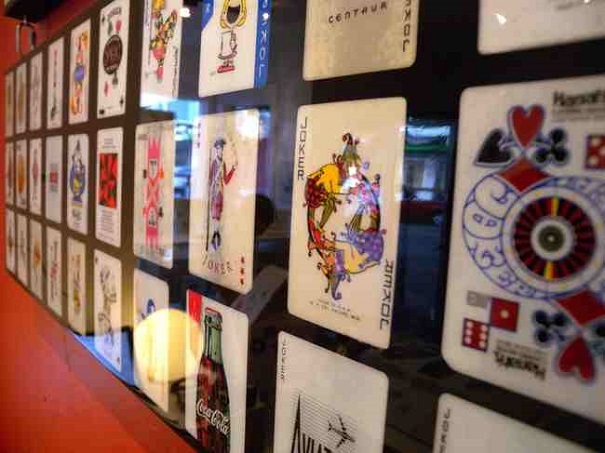 Italian magician Tony De Santis owns the largest collection of Joker playing cards. He has 8,520! 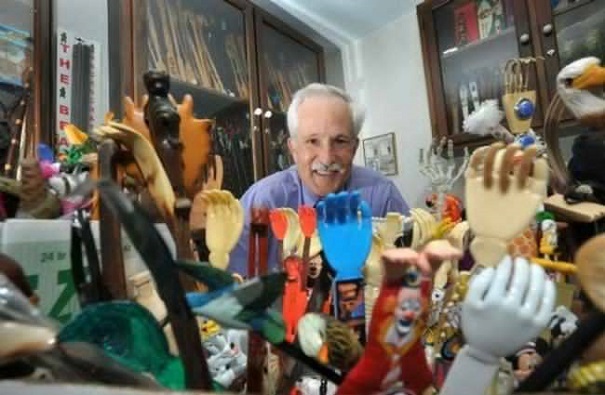 Wacky couple Bob and Lizzie Gibbons share their home with their rather unusual collection of 240 love dolls. According to the couple, they like dressing the dolls up and even take them on shopping trips. 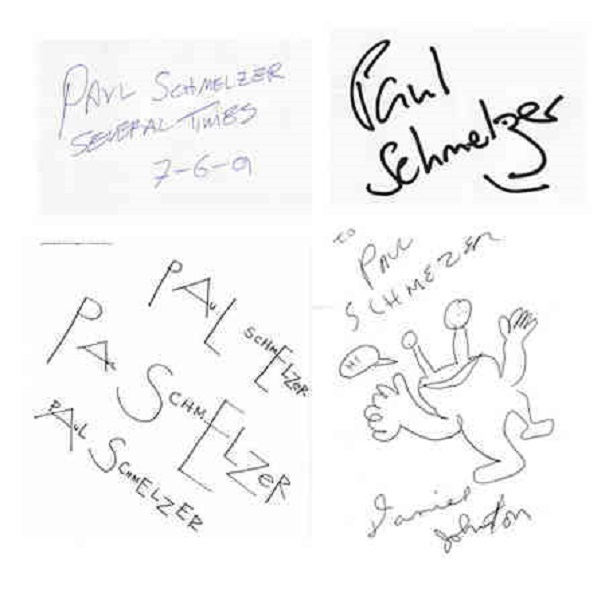 Paul Schmelzer collects autographs from famous people; artists, politicians, writers, and movie stars. Oh, no, not their autographs; rather, he asks them to write his own name. His collection now has over 70 autographs including one by Dan Castellaneta, the voice behind Homer Simpson. Victor Taylor has been potentially sitting on a goldmine for his incredibly detailed scratch card collection. His particular interest in Instants Scratchcards (produced by Camelot for the UK National Lottery) started with the 1995 issues. 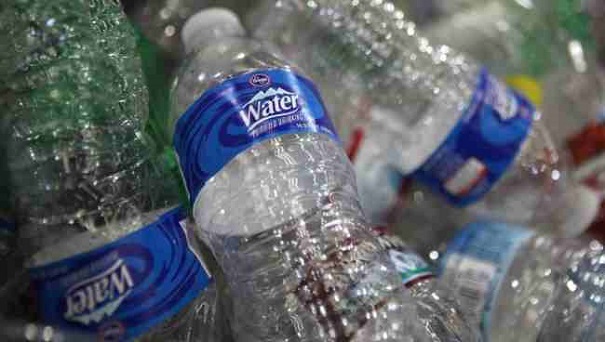 Italian Lorenzo Pescini owns a collection of 8,650 different bottled water labels from 185 countries and 1,683 springs. Bettina Dorfman’s barbie doll collection is reportedly worth over $150,000. She owns 6025 Barbies. 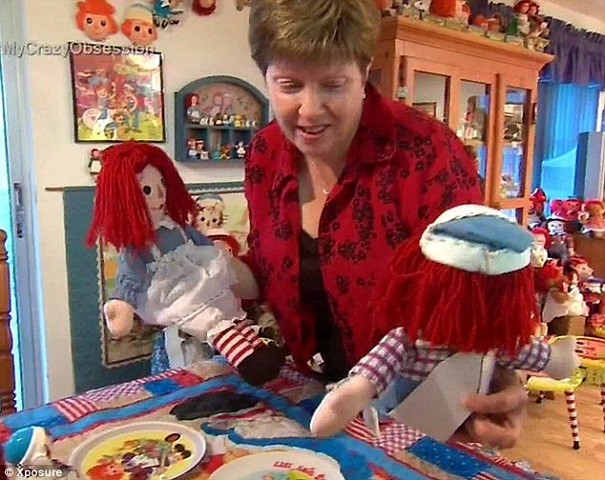 Tampa resident Robyn Amato’s has a collection of over 3,000 Raggedy Ann dolls. 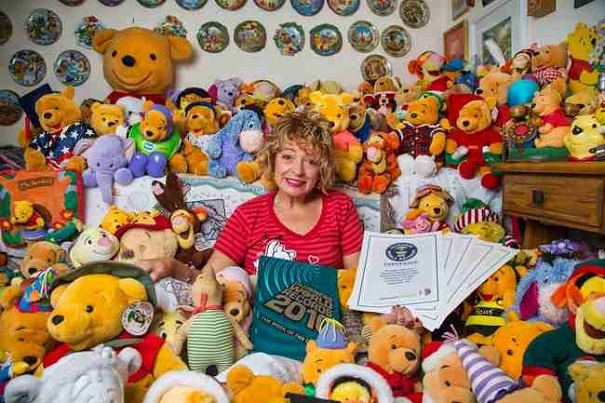 Deb Hoffmann’s Winnie the Pooh (and his friends) collection consists of 10,002 items. 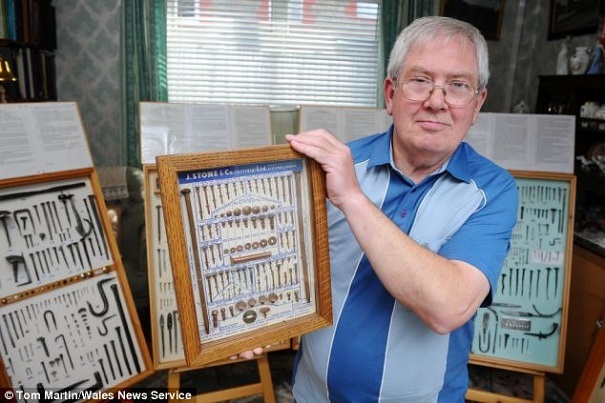 78-year-old Richard Jones shows off his collection of 3,000 nails which he’s gathered from different countries for the last 50 years. 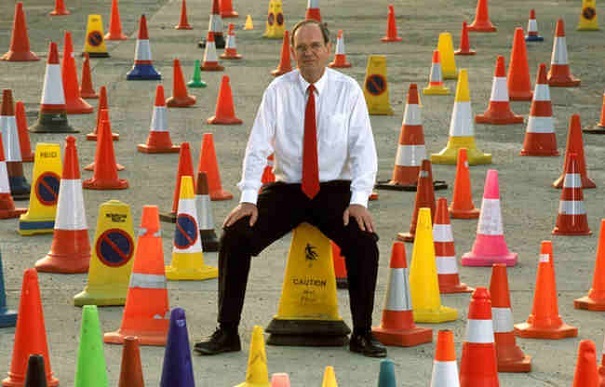 David Morgan owns the largest collection of traffic cones with 137 unique items! The world’s biggest collection of dresses belongs to Paul Brockman, the German-born contractor from California. 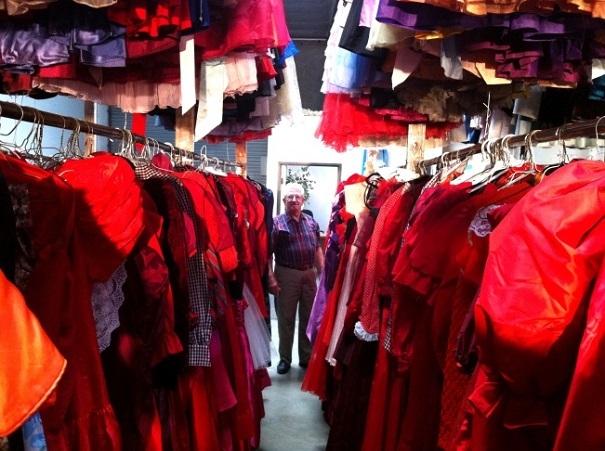 His collection of 55,000 dresses is all for his wife, Margot. 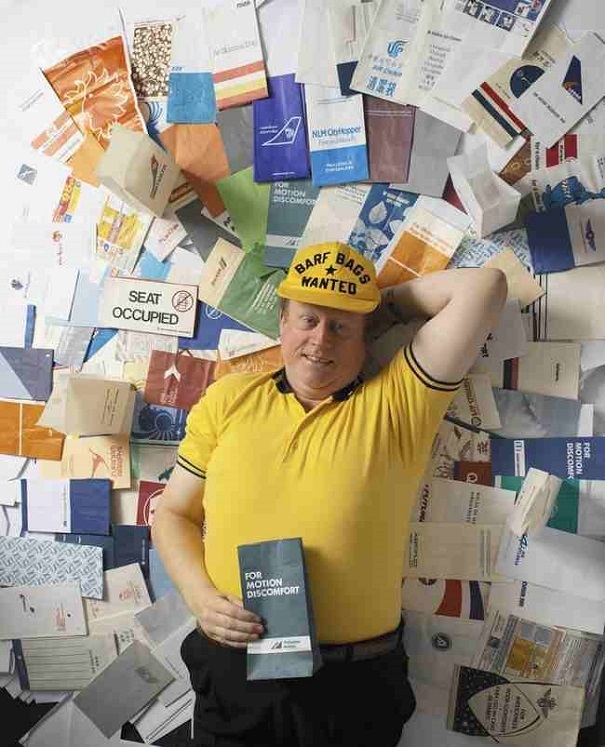 Dutch collector Niek Vermeulen has 6,290 airsick bags from 1,191 different airlines and almost 200 countries. 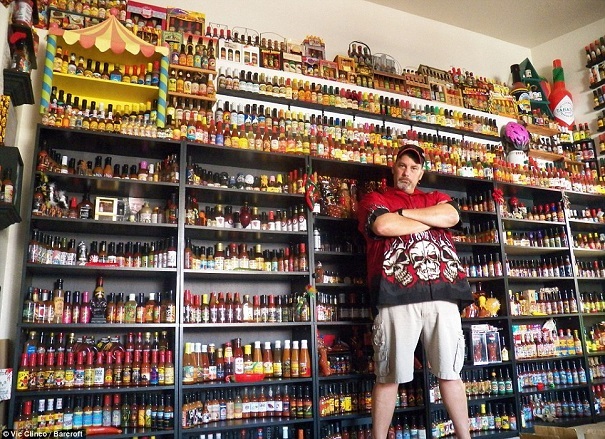 Spice-obsessed Vic Clinco own’s a jaw-dropping collection of 6,000 bottles of hot sauce. Included in his collection is a rare bottle of Blair’s 16 Million Reserve, the hottest hot sauce on the planet. 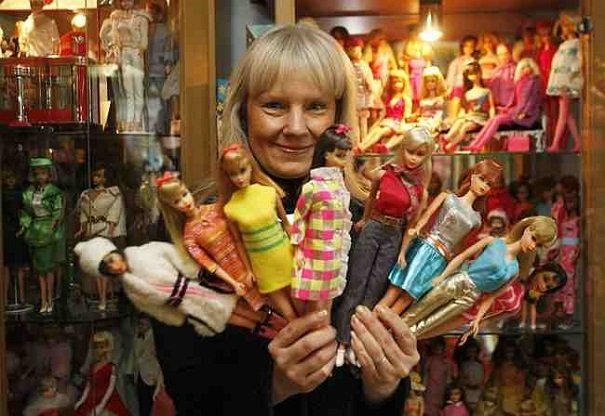 Malin Fritzell has been collecting paper dolls since the 1960s and has grown her collection to 4, 720 dolls! 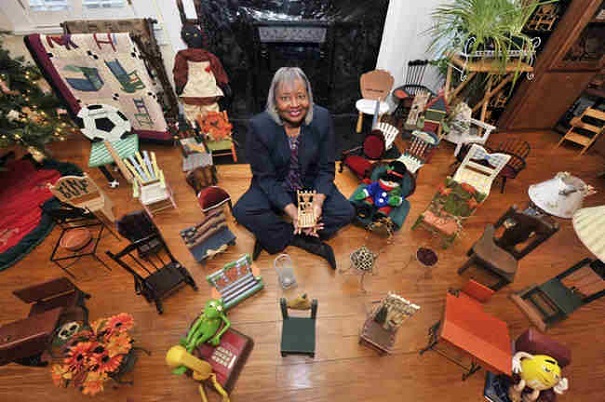 Barbara Hartsfield collects miniature chairs which is a record-breaking 3,000 pieces. She’s been collecting for over 10 years. 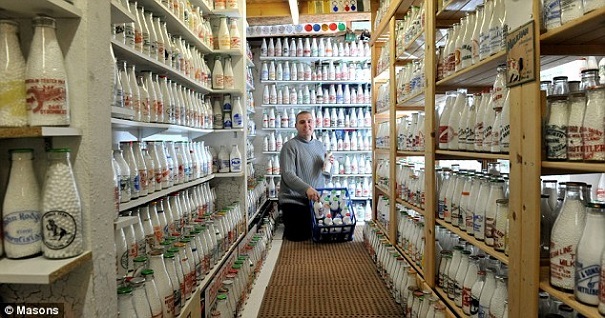 33-year-old former milkman Paul Luke has been collecting milk bottles since he was 9. He is still actively collecting more in hopes to increase his collection of over 10,000 different milk bottles. 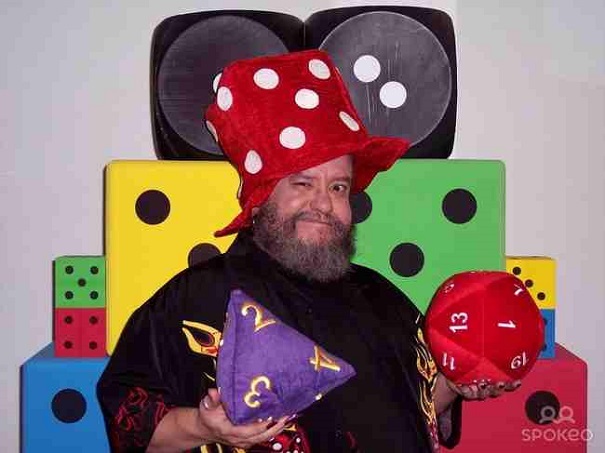 Kevin Cook has set the record for the largest collection of dice. As of September 2014, Cook’s collection has 51,000 unique items. 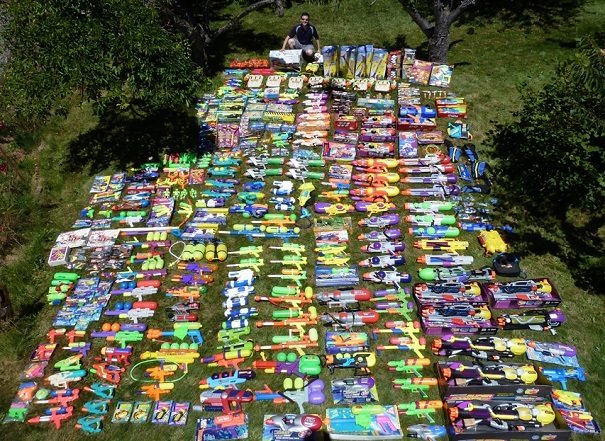 This super soaker collection is owned by Chris Reid. 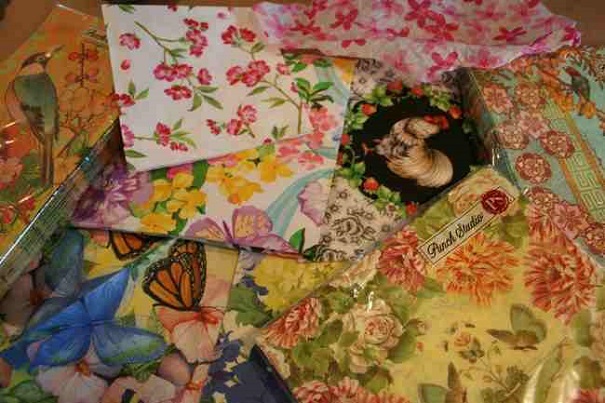 Over the years, his collection has grown to include 240 unique designs. 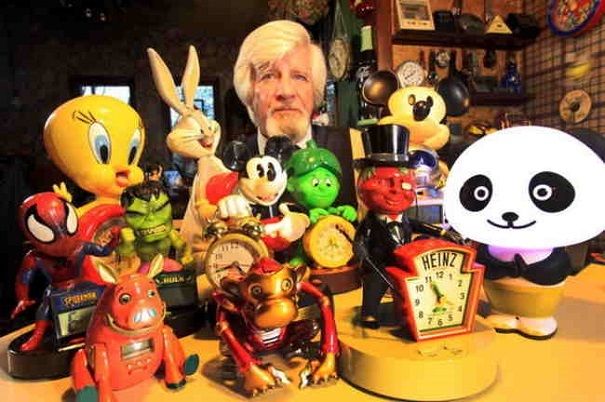 The largest collection of talking clocks belongs to Mark McKinley from Ohio. He owns 954 of them. 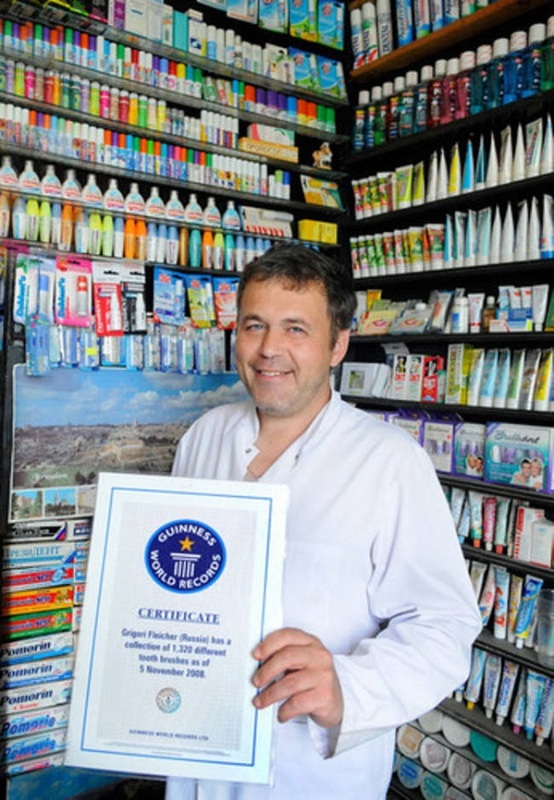 Petra Engels owns 19, 571 erasers. The collection is acquired from over 100 different countries. 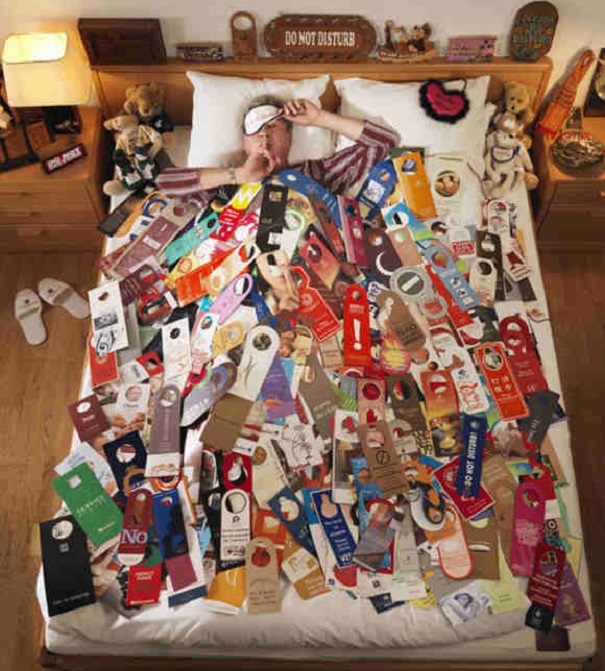 Jean-François Vernetti’s collection of Do Not Disturb hotel signs has grown to 11,111 which he collected from different hotels across the globe. Grigori Fleicher from Russia is a Guinness World Record holder for having the world’s largest (1,320) toothbrush collection. 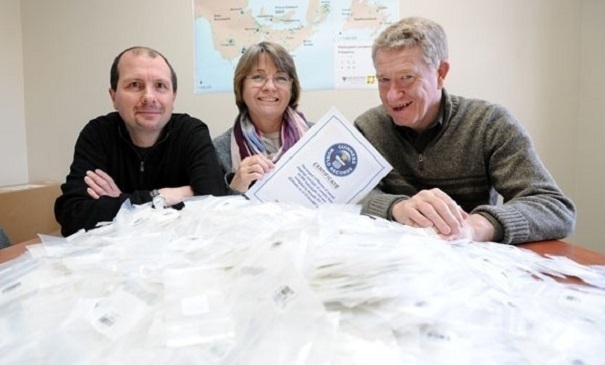 With 125,866 different napkins, Martina Schellenberg from Germany owns the largest collection. 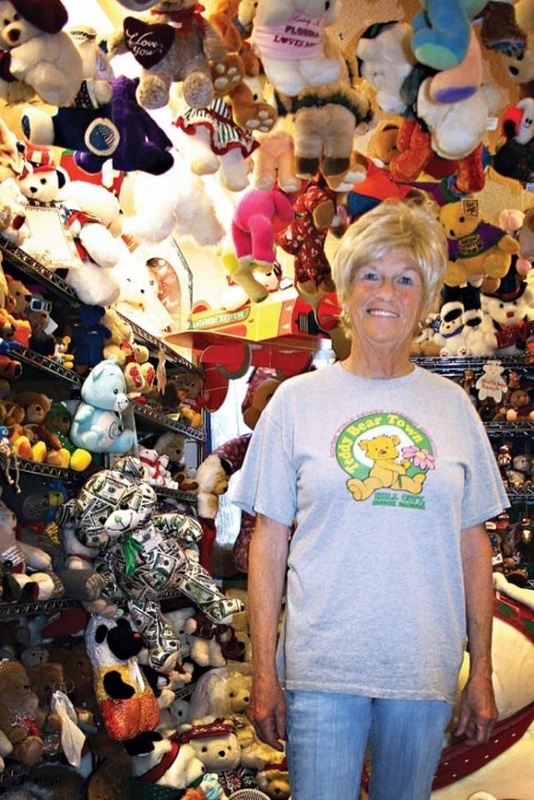 Jackie Miley’s teddy bear collection consists of 7,106 unique teddy bears. 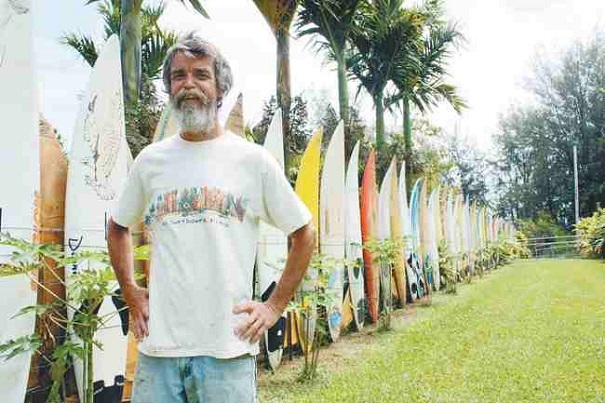 Donald Dettloff has his property in Hawaii showing off his collection of 647 different surfboards. 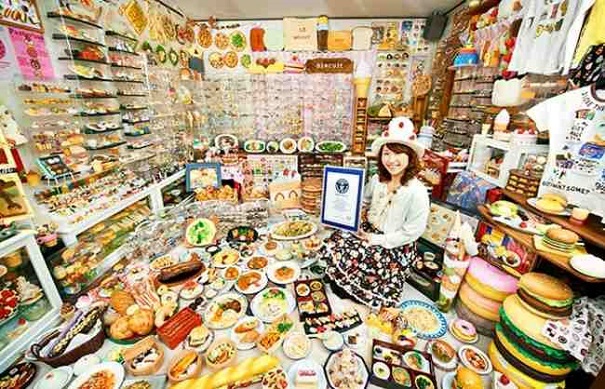 Japanese Akiko Obata is the record holder for the largest (8,083) collection of prepared food-related items.